Okay, so this is a hit-and-run post. 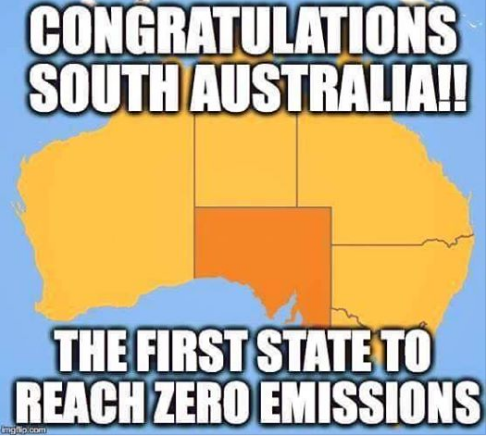 There’s been a larger than usual gap between posts because, as you may have heard, South Australia has been receiving a terrible battering by Mother Nature lately. There was a State-wide black out last Wednesday. Unprecedented. Horrifically, even one of our major hospitals lost back-up power. Apparently the problem was a weather system coming from Antarctica with winds so powerful that it was demolising huge electricity towers. Cyclonic, I think. I laughed so hard my insides hurt. Because you’ve got to laugh, otherwise you’d cry. People have been flooded, everyone’s sandbagging, whole communities have been isolated. Some people lost their frozen embryos in the blackout. I just can’t even imagine that heartbreak. So with all of this weather, my childcare plans for the school holidays have fallen through. Roads to my parents’ house in the country have been flooded, so the kids won’t be holidaying with their grandparents this week. Not sure how I’ll be getting to work, but I am trying to put some eleventh-hour childcare in place, so there’s not much time for me to spend on this post. 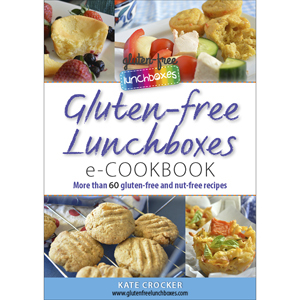 So, if you are after gluten-free, nut-free, dairy-free, egg-free lunchbox snacks that are also easy, can be frozen and have no refined sugar, you’ve come to the right place. 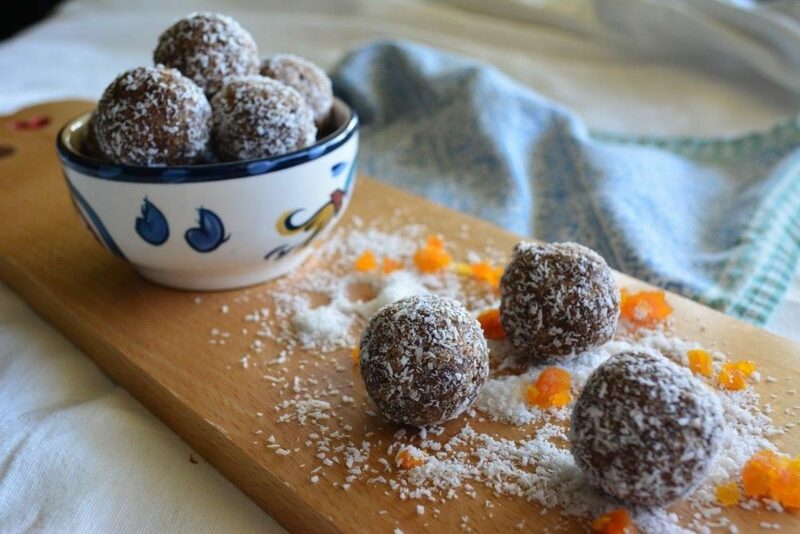 And if your kids love Fruchocs, this chocolate-apricot combination might just be a winner. Put the prunes and dates in a large microwave-proof bowl and cover with water. Cover bowl with plastic wrap and microwave on high for 5 minutes. Drain thoroughly and allow to cool a little. Put dates and prunes into the bowl of a large food processor. Add apricots, cacao powder, coconut milk powder and 250 g desiccated coconut. Process until mixture is smooth and comes together. Scoop out heaped teaspoonfuls of the mixture and roll into balls. Roll them in the extra desiccated coconut. Continue until all mixture is used. Refrigerate before serving. 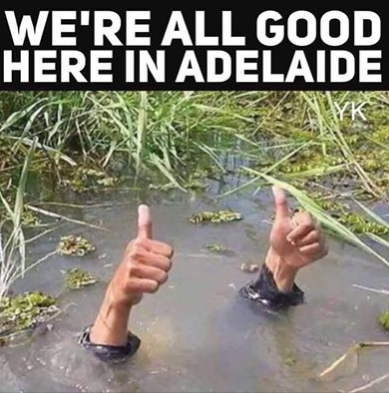 Thinking of you all under that water!